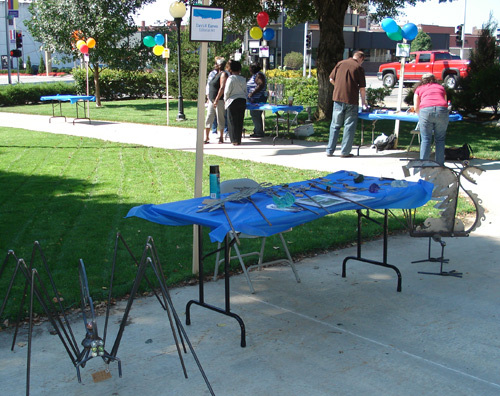 Last Thursday, we had an outdoor art fair and cookout to support the United Way. I set up a simple display with a few pieces to show and sell. The tables offered everything from jewelry to handmade purses. Thanks to everyone who stopped by. Here are a couple photos from the day.